In San Diego sitting ’round an outside fire isn’t just about keeping warm. 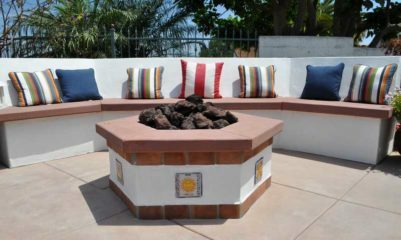 An outdoor fire pit or fireplace has many practical, emotional and health benefits too. Some of the best times in San Diego and the surrounding area are the beautiful nights under the stars surrounded by friends and family. 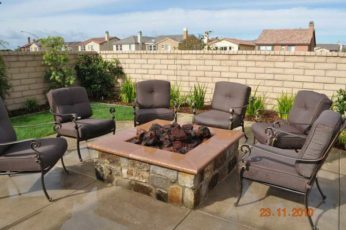 A great fire pit or a fireplace is an excellent catalyst for good conversation, an excuse to relax outdoors away from technology, or simply enjoy the beauty that exists in your own backyard. 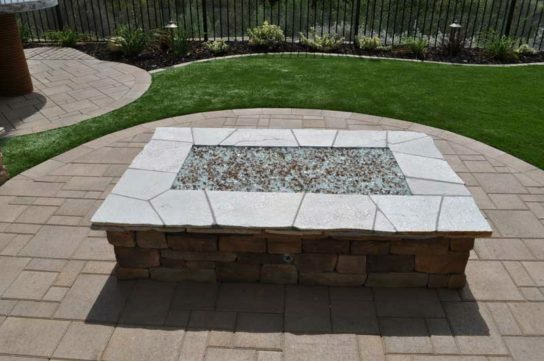 There are many benefits that stem from adding a fireplace or fire pit to your outdoor living space including extending the ability to use the space through the milder seasons. 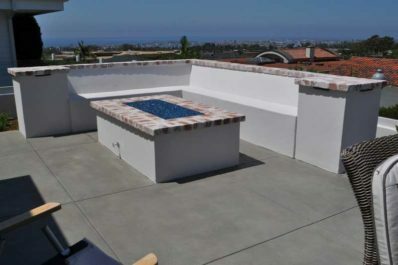 Below are some of the major benefits and a gallery of some of the fireplaces and fire pits we have built in the San Diego area. 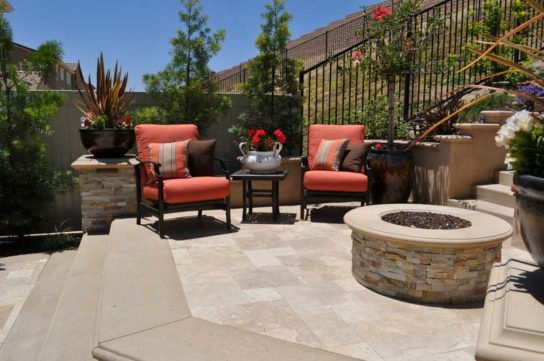 Nothing adds to a summer patio party like a cozy outdoor fireplace or pit. 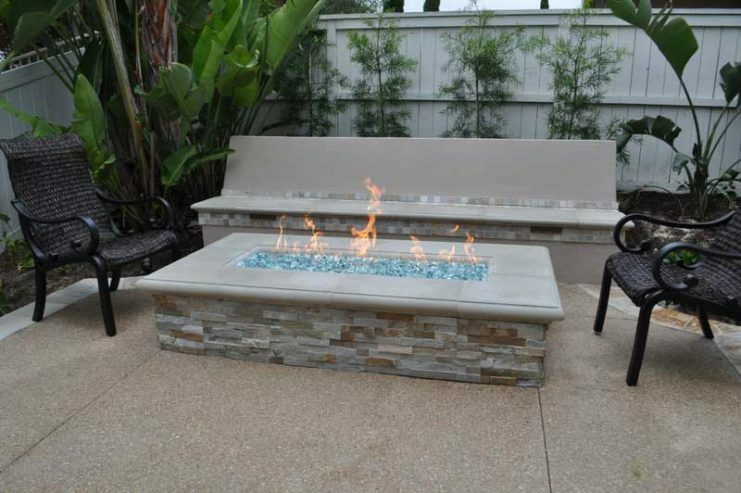 When integrated into thoughtful landscaping designs, outdoor fireplaces extend your home and available party space from inside to outside. 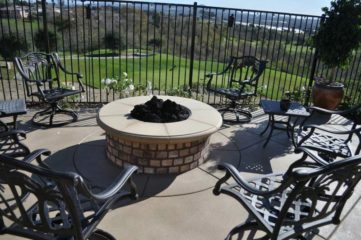 A fire pit is a natural gathering place, where you and your friends can sip some wine while conversing and laughing on a warm July night. 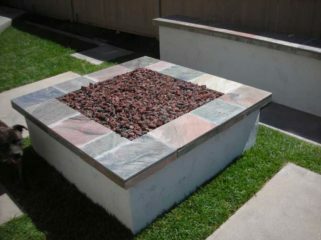 While they may not be as accurate as a gas grill, a fire pit or fireplace is still a valuable asset for cooking. 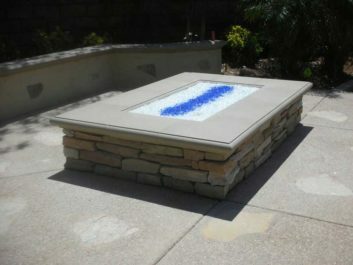 If you’re thinking of a fire pit in your yard in the future, we can include a fire grate that can be used for cooking. 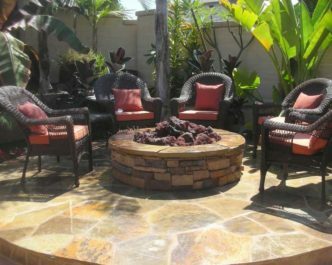 Since you don’t have to rely on the warmth of the season, outdoor fireplaces allow you to host yard parties much earlier in the year. Get a nice fire going, throw on a sweater, and any clear night can turn into an outdoor star gazing extravaganza. Maybe you aren’t too keen on throwing parties or maybe you aren’t such a great cook. 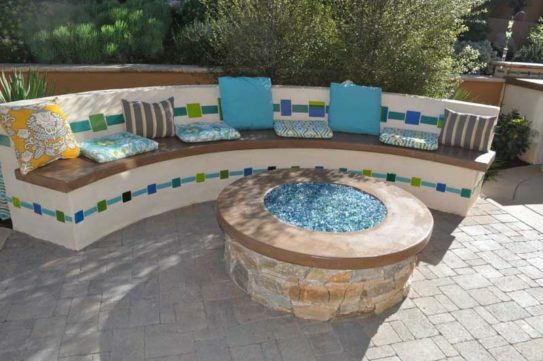 Don’t worry – fire pits and fireplaces are appreciated just for their beauty. 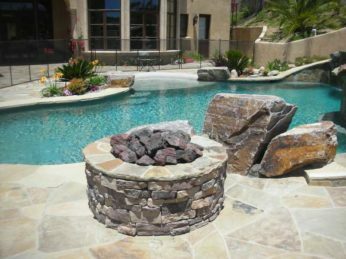 Whether you’re catching up with an old friend or gazing at stars with a new love, the ambiance and romance a fire pit or fireplace adds to a San Diego yard is unbeatable. 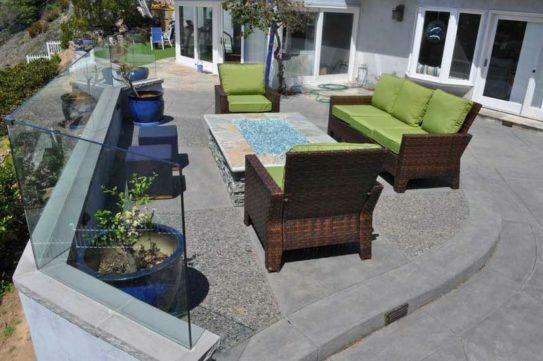 We love our patio! Thank You for the excellent job. Your attention to detail and quality has made it a wonderful addition to our house. Its brought great value to our home. We are very happy with our project!